According to traditions of many tribes, Liberia ancestors were called ‘Jinna’, first inhabitant of Liberia. Although no trace of them was ever discovered, they still play a significant role in history and the lives of many Liberia’s tribe. The oldest of the Liberia’s tribes, the Gola, who travelled from Central Africa to West Africa reportedly met these Jinna when they arrived in Liberia. According to the Gola, the Jinna were bushmen who lived in caves and hollows of trees. The second group who arrived in Liberia reportedly arrived in 6.00 B.C. There are reasons to believe that these people came from Western Sudan, however, it is not certain. This group reportedly defeated the Gola and other tribes such as the kissi, while establishing an empire called The Kumbas comprised distinct groups, under the headship of King Kumba. After the death of King Kumba, these groups developed into different tribes; the Kpelle, Loma, Gbande, Mende, and Mano, all belonged to the same linguistic group. They were mainly agriculturalists but also developed arts like weaving, basket making, and pottery. Their blacksmiths made a lot of things, including arrow-heads, hoes, spears, rings, knives, and iron rods which were used as a medium of exchange. The third group who arrived in Liberia migrated quite recently from the Republic of Ivory Coast. These were the Kru, Bassa, Dei, Mamba, and Grebo tribes. Their migration was caused by population pressure due to the mass emigration of tribes from Western Sudan; the mediaeval empires in Sudan declined after they were defeated by the Moroccan army, leading to tribal wars. 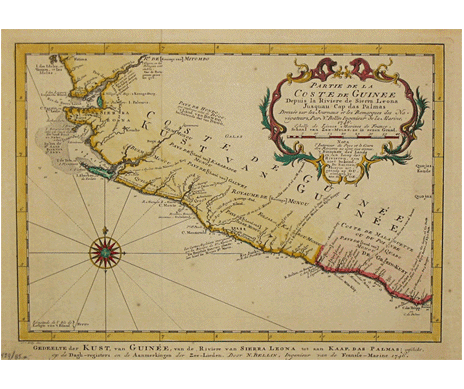 The Kru travelled by sea and arrived in Liberia in the early 16th century. Later came part of the Grebo who travelled by sea, the others travelled by land. Grebos who travelled by sea were called the ‘seaside Grebos’ in order to differentiate them from their kinsmen who travelled by land, the ‘bush-Grebos’. The seaside Grebos still feel superior to the ‘bush-Grebos’. The last group of tribes to arrive in Liberia were the Mandingo-group, which include the Vai and the Mandingo tribes. In the 16th century, the Vai migrated from Western Sudan to the West African central region, probably because of the same reason as the tribes of the third group, population pressure. They crossed Western Liberia, clashed with the Gola whom they subsequently defeated, and later moved to the coast where they settled. The Mandingo arrived in Liberia around the 17th century from Western Sudan. They left Western Sudan after the Emperor of Gao, Askia Mohammed, reduced the Empire of Mali in the 16th century.